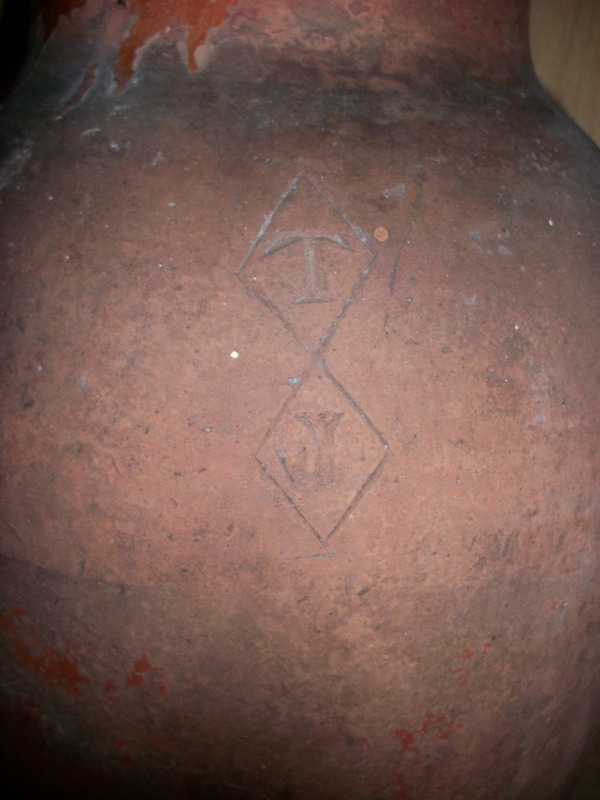 Large Pitcher/Jug Initials T J on front. 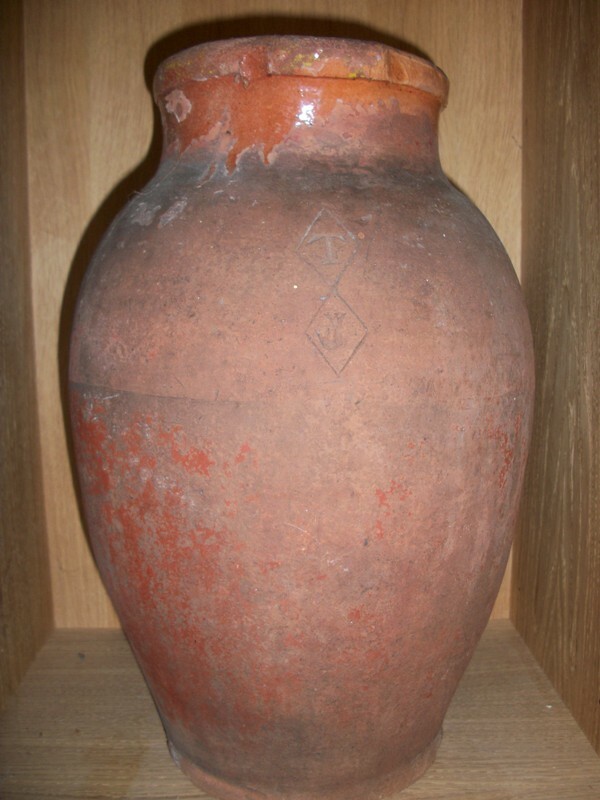 A large old terracotta pitcher/jug with the initials T J to the front centre. Each initial is within a diamond. 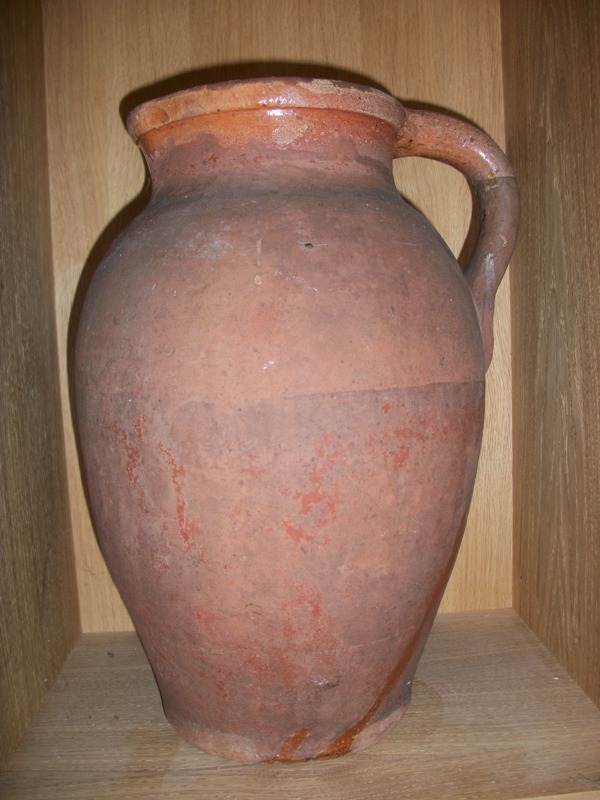 The jug is 15 ins, high and 9 ins. in diameter at its widest point. There is no makers mark on the base. Any information as to its make or what the initials may signify would be welcome. Re: Large Pitcher/Jug Initials T J on front. Possibly Verwood? The loss and colour of the glaze pointsto that. Helps to have a photo of the handle, end on. And the vase.